Nothing short of an international sensation occurred in April of 2017. Save the Orangutan’s local partner BOS Foundation had been called out to a village in the Kapua district near Mawas. 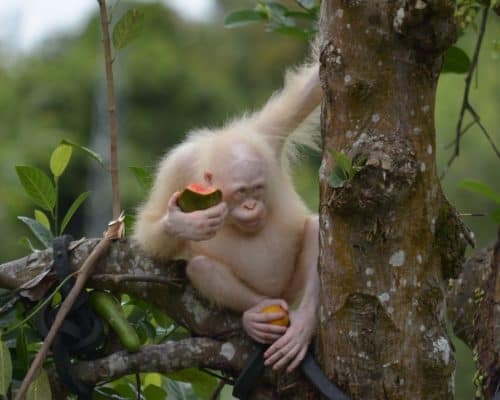 They had received a tip about a caged albino orangutan kept as a pet. The owner of the cage explained he had found the orangutan in a cleared forest area nearby. The female orangutan, about 5 years of age at the time, was rescued and brought to the Nyaru Menteng rehabilitation centre. She received veterinary treatment and was kept under observation to determine whether she was able to survive on her own after a potential reintroduction to the wild. 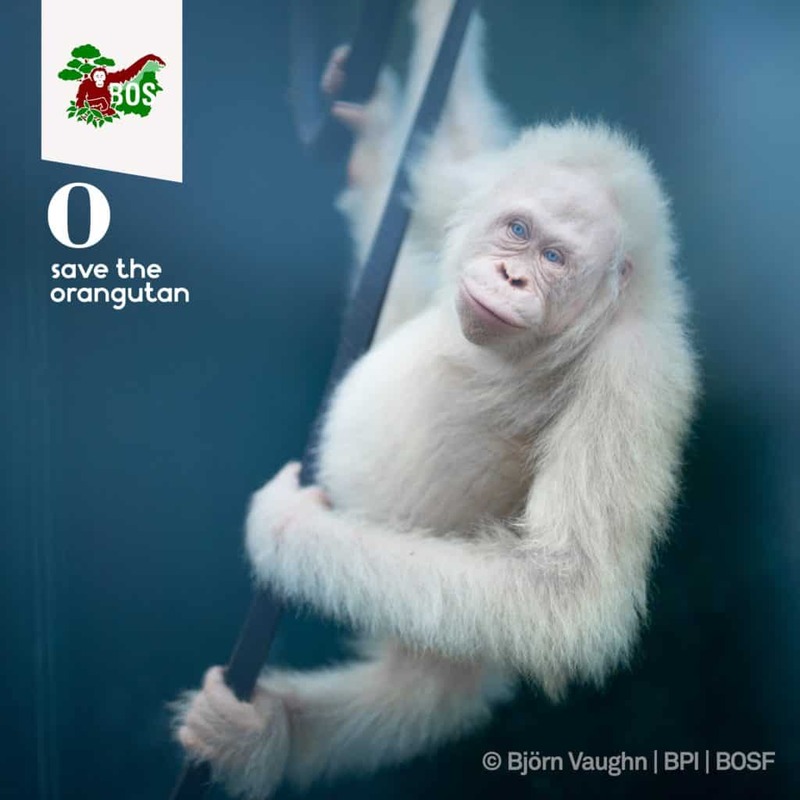 For the first time in history, we knew of an albino orangutan. Her appearance is a result of a genetic defect and is very rare. Her rescue has therefore garnered global headlines, and the world has shown broad interest in this unique individual. 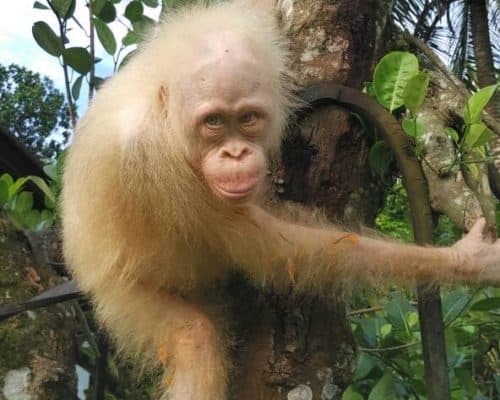 Due to the great interest in Alba and most importantly, the fact that she has lived most of her life in the wild, it is important for BOS Foundation to keep her in a protected environment, where her natural behaviour can be stimulated optimally. Thorough examinations of Alba have revealed that she has reduced vision and hearing. This may challenge her survivability in the rainforest significantly. Moreover, her unique white coat makes her easier to spot and more attractive for poaching and illegal trade. Even though the rainforest areas managed by BOS Foundation are protected and monitored more than other rainforest areas, Alba needs heightened protection and monitoring because of her uniqueness. However, we always strive to create the best and most natural conditions possible for the rescued displaced and orphaned orangutans arriving at the rehabilitation centres. Additionally, we strive to give all the rehabilitated orangutans their freedom back by reintroducing them to the wild or releasing them into permanent sanctuaries.